We are inspiring change in school food by freely sharing our knowledge of what works well, both in kitchens and classrooms, to schools across the country. 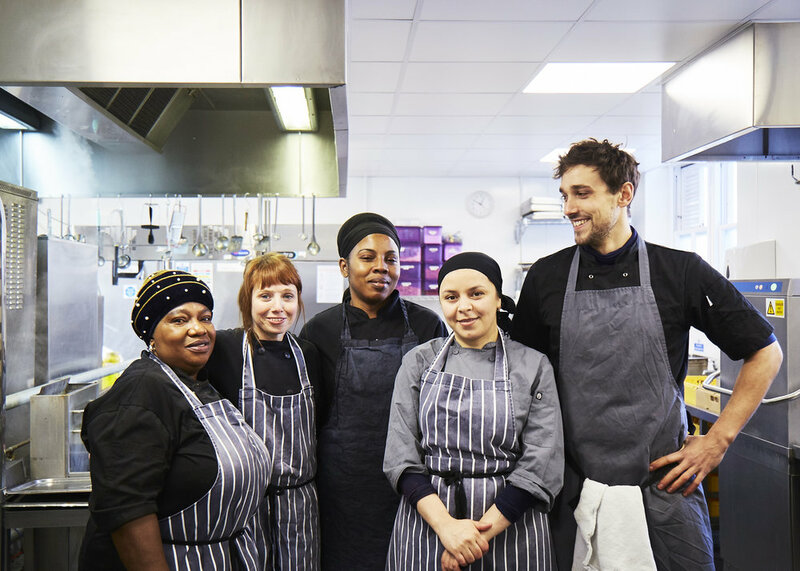 We are led by some of the UK’s foremost experts in food policy and education, and chefs who support our efforts. Our aim is to put the theory established by the School Food Plan into practice. A significant part of changing the food culture in Gayhurst school was to marry the food in the dining room with the cookery teaching in the classroom and kitchen. We took lobsters and huge clams to look at and touch, then we served breaded mussels at lunchtime. We invited Japanese rice farmers to come and teach our pupils how rice is grown, then served them sushi. Key to this success was taking on a Whole School Approach. This means that attitudes to all food wherever and whenever it crops up in school - whether in the classroom, at lunch or in the wider culture of the school – reflect the values at the heart of the enterprise. It means getting the whole school – children, teachers and parents - on board with the change. If you would like us to improve the food culture and food education at your school, please click here to send us some information.